Getting there: regular flights from major world cities to Ben-Gurion International Airport near Tel Aviv. Official language(s): Hebrew, Arabic, with English and Russian most common foreign languages. The Jewish state, surrounded by Muslim dominated countries of Egypt, Jordan, Syria and Lebanon, has endured periods of war mixed with periods of relative peace with its neighbors since its founding in 1948. Today, Israel is a major draw for millions each year attracted to the country's strong ties with Judaism as well as with three other major religions including Christianity, Islam and the Bahá'í Faith. As you travel throughout Israel, you are probably headed to a place of some religious significance, not only for devout pilgrims from all walks of life but also for curious tourists, historians and archeologists. The capital city of Jerusalem alone boasts the site of the ancient Jewish Temple, as well as the scene of Christ's passion, Via Dolorosa (The Way of Suffering.) For Muslims, there's the Noble Sanctuary, Al-Haram al-Sharif, encompassing the Al-Aqsa Mosque and the equally revered Dome of the Rock. Elsewhere, you can walk in the footsteps of David and Goliath in the Elah Valley, or visit the city that Joshua destroyed as the walls came tumbling down in Jericho, the second most excavated site after Jerusalem. Of course, with all its revered religious connections, Israel is a modern state with highly developed tourism amenities, not the least of which is located in Haifa, a less well-known tourist destination that offers Israeli families world class beaches and kid-friendly attractions. 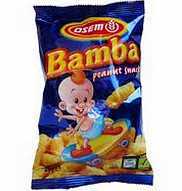 • Cripsy corn-popped peanut-flavored Bamba is Israel’s favorite snack food. • There are over 100 sushi restaurants in Tel Aviv, in third place for the most sushi restaurants in the world after Tokyo and New York. • Israeli banknotes have braille markings on them so the blind can identify them easily. • An Israeli company has developed the world’s first jellyfish repellent. • The glue on Israeli stamps is kosher. Israel Wonders - The official site from the Ministry of Tourism, featuring itinerary planners for Jewish and Christian Israel, overviews of major attractions, searchable database of hotels, apartment rentals & Kibbutz accommodations, picture gallery, virtual tour. Israel Travel Guide - Arthur Frommer 'best of" guide, featuring the luxury & bargain hotels, restaurants, beaches, ancient cities, museums & holy places, plus helpful travel planner and suggested itineraries, event calendar, related message boards. Bible Places - Stunning photos and captions explain the ancient connections between Biblical stories & locations with their modern counterparts in Israel, Egypt, Jordan, Greece and Turkey.